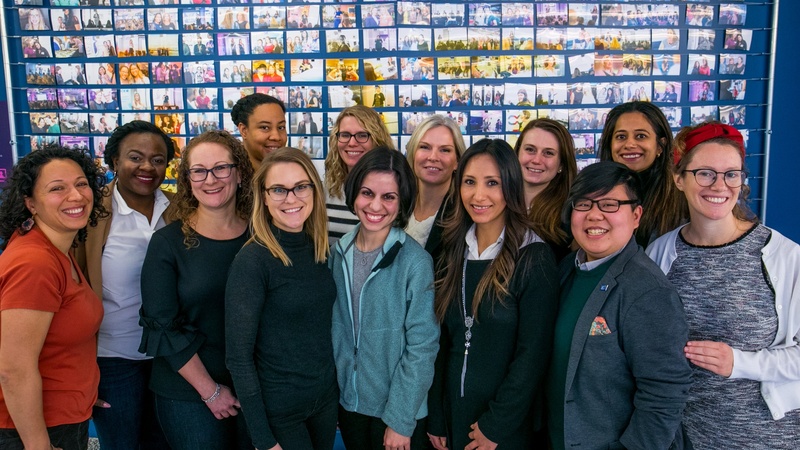 Today we kick off the sixth cohort of WiSTEM, the 1871 accelerator program that has graduated five cohorts, supported 64 companies and 72 individual women, and raised more than $10 million in capital collectively since the program’s inception in Fall of 2015. The 14 entrepreneurs for Cohort 6 will undergo a rigorous 12-week program starting today which will include curated programming, mentorship, and facilitated introductions to key corporate and venture partners. 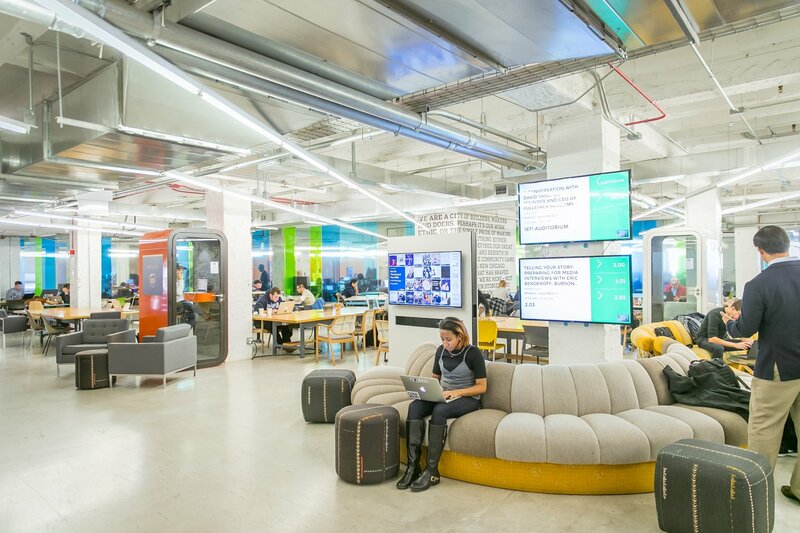 The program will culminate in a community showcase event open to Chicago’s tech leaders, supporters and potential investors at 1871. AptAmigo | Rachel Struna | The apartment search is overwhelming and frustrating, but AptAmigo makes the hunt efficient and reliable. AptAmigo provides real-time, transparent, and personalized availability, pairing premier customer service with over 4,500 detailed resident reviews in order to ensure that home-hunters experience a seamless transition into their new apartment. Cleancio | Rocio Lane | Cleancio is a fast growing and innovative startup providing on-demand vacation rental cleaning services with the goal of improving the guest's experience by following hospitality standards. Moreover, Cleancio helps Airbnb hosts, vacation rental property managers and owners keep and maintain excellent guest reviews. Docademia | Nassim Abdi | Docademia is the "Airbnb" for social documentaries, offering a video-on-demand film catalog and a live Q&A service with the filmmakers to connect indie documentary filmmakers from around the world with faculty and students at colleges and universities. Docademia helps educators teach their students through creating real-life exposure in the fields of humanities, and partners with filmmakers to find new audiences for their creative work. Dresscode | Kayte Malik | Dresscode believes there is beauty in innovation and technology. The company merges fashion and technology to excite and educate women and girls about computer science, coding and STEM by producing sophisticated accessories engraved with computer science code strings, which users can use to unlock different coding lessons. Givly | Tiffany Williams | Givly is the universal giving and stewarding app that brings donors and nonprofits together like never before. Givly brings nonprofits into the mobile digital space, allowing organizations engaged in mission-driven, transformational work, to manage their administrative resources effectively and affordably. It leverages the power, connectivity, and popularity of mobile digital capabilities to revolutionize the way we do philanthropy. Happenstance | Stephanie Choporis and Kathy Bartlett | Happenstance is a mobile app that changes Chicago journalism as we know it – by spontaneously delivering obscure audio stories about the people and places in the city directly to users as they go about their daily routines. Happenstance is not a tour or a news app, but a new form of timeless audio journalism. Jugl | Amy Rosenow | Jugl makes it easier to be a working parent. Jugl’s first product is a family calendar and logistics manager that reduces the time and effort involved in managing the schedule, planning and information of busy modern households. It’s an invaluable work-life coordination tool, reducing letdown and meltdown potential at home and optimizing at-work presence and productivity. Provide | Hannah Meyer and Chelsea Sprayregen | Provide is a software-based back office that automates childcare providers’ compliance to increase their income, reduce the time they spend on administration, and make it easier to accept families on the childcare subsidy. Provide’s mission is to help entrepreneurs build stronger childcare businesses. Style545 | Disha Gulati | Style545 is a fashion technology company improving the apparel shopping experience by offering consumers expertly curated looks, customized for their personal style and occasion preferences. The B2B startup provides an analytics-driven platform for retailers to design looks based on available inventory, creating a personalized omni-channel shopping experience. 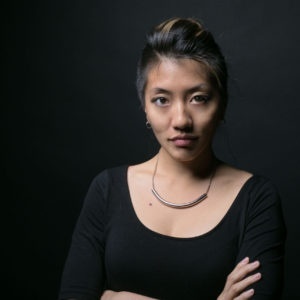 Trax MRE | Jessica Chung | Trax's mission is to provide multifamily owners and investors with accurate data by streamlining real estate functions at the onsite level through data management and analytics tools. Trax’s web-enabled solution creates efficiencies at the site level and in turn, gives reliable ownership data. The cloud platform will require minimal data entry and will generate reports that owners demand in order to make sound investment decisions. truCrowd Illinois | Florence Hardy | Located in downtown Chicago, truCrowd is an equity crowdfunding portal operating under Regulation Crowdfunding (Title III of JOBS ACT) and the Illinois Securities Law of 1953 which connects startups and emerging businesses with non-accredited and accredited investors. Built on the belief that not all businesses and investors are alike, truCrowd delivers a personalized and professional funding experience through industry-leading technology. Zinda.xyz | Deepa Kartha | Zinda.xyz provides employee engagement mobile and web Saas solutions with the mission of reimagining connected communities in the workplace and creating an environment where employees love their jobs. Journey from Zinda -- a mobile and Saas employee engagement solution -- was launched in September as a Beta product and is currently undergoing a pilot with early customers. Led by co-facilitators Jessica Williams and Ms. Tech Founder Nicole Yeary, the WiSTEM curriculum is built upon three pillars: community, technology and access to capital. Each week the cohort gathers at 1871 to receive training, ask for assistance and networking connections and celebrate their successes. The curriculum focuses on all aspects of the startup process to prepare the founders as they begin to seek investment, gain customers and expand their companies. The program is also supported by Ms. Tech, Yeary’s network of women entrepreneurs and includes “Ms. Tech Mastermind” programming that brings in inspiring and successful female leaders, as well as other resources provided by the organization. Interested in learning more about WiSTEM? 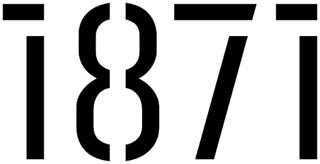 Check out 1871.com/wistem.